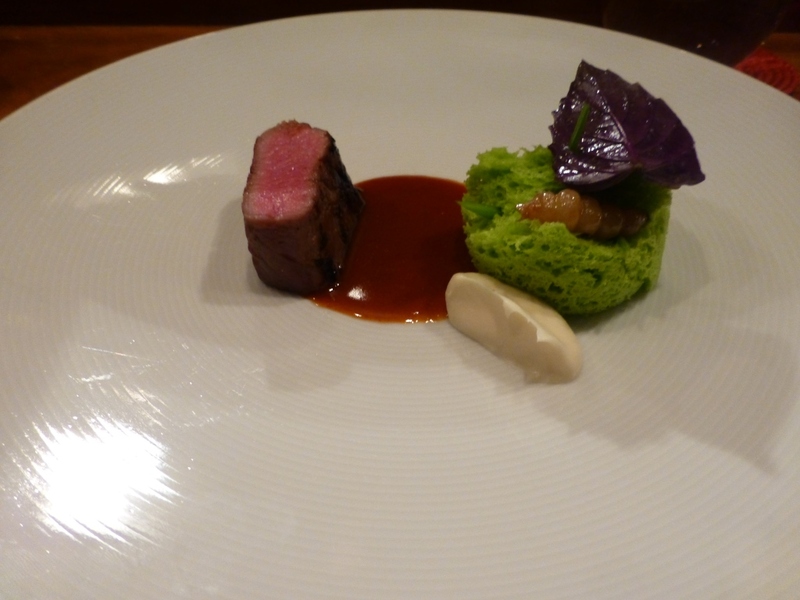 A mid-December work trip to New York gave me a chance to go back to Degustation. I had experienced some really good food over the summer, and I wanted to see what they would serve in a very different season of the year. I had made a reservation for a Monday night. When I arrived, there were not very many people, and it was only much later that the counter filled out more. I was glad they were open on Monday. I also liked the lower noise level as well. The menu had some items I had seen from the summer. But there were also some different items. But, as before, I ordered the 7-course tasting menu, and you don’t really know what is going to come with that. I suppose I could ask, as they do inquire about allergies and dietary restrictions, but I like to be surprised.